Clinetix Clinical Directors Drs Emma & Simon Ravichandran spoke to PMFA Journal in their ‘How I Do It’ section about how they approach lip augmentation using a multi-product approach. When approaching the lip and perioral area it is important to be aware that may non-surgical interventions may be used to treat this area. As the ageing process involves multiple tissues it is evident that there is no ‘one filler’ solution. We present our multi-product approach to treating this area. (Figure 1). If volume loss is evident placement of deep boluses of a viscous lifting filler (either Belotero Volume or Intense) directly onto the supraperiosteal layer. The injection is performed with an unprimed 27G needle, aspirating for at least five seconds, prior to each injection. The needle is replaced after each injection due to it blunting on the bone, and to ensure an unprimed needle is used during each aspiration. Between 0.2 to 0.3ml of implant is placed at each site. To restore dermal integrity we use a filler suitable for superficial placement (Belotero Balance or Belotero Lips Contour). We place linear threads intradermally along the vermillion border including the Cupid’s Bow area using a 30G 12mm needle. At this point, due to the superficial position of the needle, there is no need to use an unprimed needle or to aspirate prior to each injection. The grey of the needle can be seen through the dermis when injection and a temporary tissue blanching of the immediate vermillion border occurs. This should not be confused with blanching associated with vascular compromise. Regular changing of the needle is essential to have a sharp needle which allows accurate placement within the dermis and avoids unnecessary tissue trauma – we usually use four need per lip, one for each quadrant of the vermilion. Between 0.4 and 0.8ml of filler is required in this area (Figure 2 and 3). Anterior plumping of the lip requires placement between the vermillion border and the wet dry border. Increasing the vertical height of the lip is achieved by placing filler at the wet dry border, and eversion can be achieved by placing the filler in the wet border in relation to the anterior surfaces of the teeth. We use a 25G 38mm Steriglide Cannula (TSK) with an entry point just lateral to the oral commissure. A cannula allows consistency in the depth of placement of product, and it is likely to be safer for reducing vascular penetration. We place the filler in two or three threads (0.05-0.1m per thread depending on the volumisation required), the length of the lip quadrant before applying gentle pressure with finger and thumb to mould the product into one cohesive sheet. We use Belotero Lips Shape or Belotero Intense due to the smooth feel and cohesive nature which allows it to maintain it’s integrity during normal lip movement (Figure 4). 4. Injection of perioral wrinkles. These are caused initially by dynamic muscle movement, together with age-related loss of dermal integrity. As the ageing process continues subcutaneous fat atrophy may also be a contributing factor. However, the problem is primarily dermal, and restoring dermal integrity will yield the most natural result. We inject micro-aliquots of a soft filler such as Belotero Lips Contour, Belotero Balance or Belotero Soft extremely superficially (superficial blanching technique as described by Patrick Micheels ) directly into the wrinkles using a 30G 12mm needle for a smoothing effect. Very small amounts (o.1-0.2ml) are required for most treatments. 5. Treatment of the subcutaneous volume loss. This is usually seen in the lower lateral labial fat compartments, immediately below the oral commissures. This can be easily addressed by direct injection into this fat compartment with robust and volumising filler such as Belotero Volume or Belotero Intense. We use a 27G needle and inject in a bolus, aspirating as before through the unprimed needle prior to product placement; changing the needle for each injection. 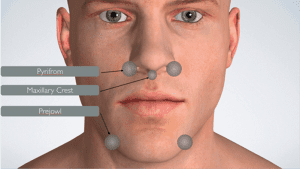 Lip filler treatments are commonly requested, and while a single filler approach to simply augment a lip may be suitable for a patient in their early 30s with no significant perioral ageing, the same approach in an older patient with multiple visible ageing facets will result in a poor and unnatural outcome. We present a multi-product solution for best aesthetic results. Micheels P, Sarazin D, Besse S et al. A blanching technique for intradermal injection of the hyaluronic acid Belotero. Plast Reconst Surg 2013; 132(4 Suppl 2): 595-685.